But Robert Pattinson has channelled the physical discomfort of his seven-week, summer shoot in the middle of the Australian Outback into a character that he hopes will make an equally indelible impression as the Twilight vampire. “It’s added lots to the performance – being covered in dirt, pouring sweat, with tons of flies around, you lose your inhibitions quite quickly,’’ the English star said on the set of his latest film, The Rover, in which he sports a crude, DIY haircut and badly-decayed teeth. A neo-western set in a brutal, anarchic near-future, the $12 million film is director David Michod’s hotly-anticipated follow-up to the internationally-acclaimed Animal Kingdom. Guy Pearce plays the title character, an embittered outsider with whom Pattinson’s naive victim forms an uneasy alliance. Located at the intersection of the Oodnadatta and Birdsville Tracks, Marree, population 90, is about far from Hollywood as an actor can get. Pattinson, whose on-again, off-again relationship with Twilight co-star Kristen Stewart has been a matter of much conjecture, admits the different time zones and lack of mobile phone reception have taken a toll on his private life. Filming on The Rover, which has spent time on location in Hammond, Quorn, Copley, and Leigh Creek, wrapped yesterday. Pattinson said he was intending to take the next three weeks off, but confirmed his participation in three upcoming projects: Werner Herzog’s Queen of the Desert, with Naomi Watts and Jude Law; Maps to the Stars, a comedy directed by David Cronenberg (Cosmopolis), and Hold Onto Into Me, with Carey Mulligan. A good and interesting read, thank you! 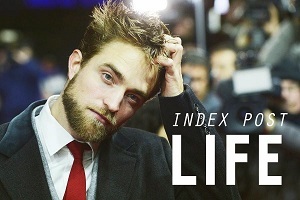 Love it, I am more excited to see this more than I was with Cosmopolis. I hope it is more successful than Cosmopolis and receives a larger audience that is my wish for all the hard work everyone did on this production under such harsh conditions. I have a good feeling about this film. Thank you RPL. These are from Australian tabloids why post them? I don't disagree with you twmmy, I just think this could reach a larger audience because of the theme of the movie. It would be nice to see him reach a larger audience for playing a role where he is not another pretty face. 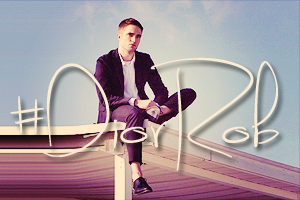 I liked Cosmopolis and thought he did a fantastic job for the role, but it is nice to see a change and I think he will absolutely be brilliant in this role as well.